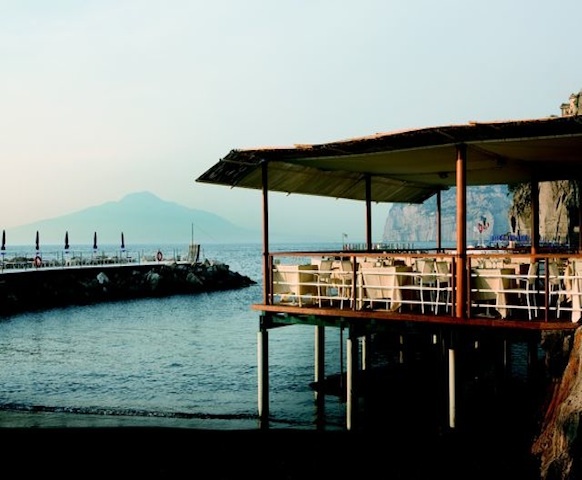 Hotel Parco Dei Principi is a 5 star contemporary design hotel with magnificent views over the Gulf of Naples from the terraces. 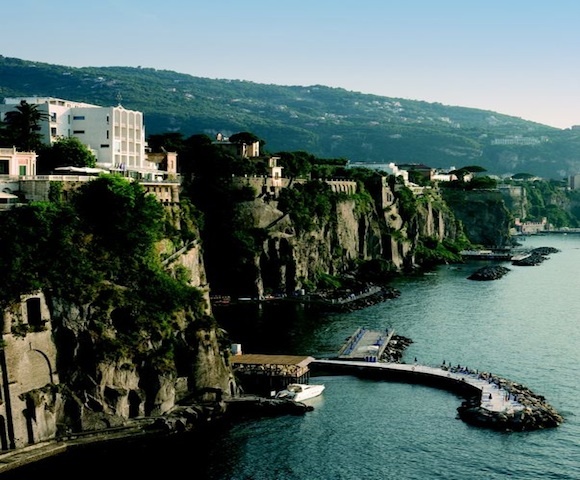 The surroundings are magical with the beautiful old garden (27,000 m2) and the fantastic coast line of Sorrento. The private beach has two reefs and two sandy beaches with sun beds and umbrellas. Only for the guests of the hotel. 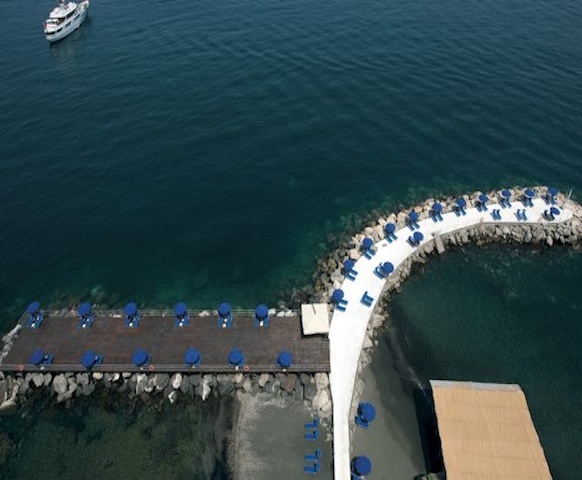 The sea-water pool overlooks the bay of Sorrento. The 96 rooms are divided into 4 categories; Classic, Superior, Deluxe and Junior Suites. The rooms are located on either side of the hotel; sea or park views. The rooms have sliding windows which open onto the terraces and balconies, which have stunning views of the fantastic surroundings. 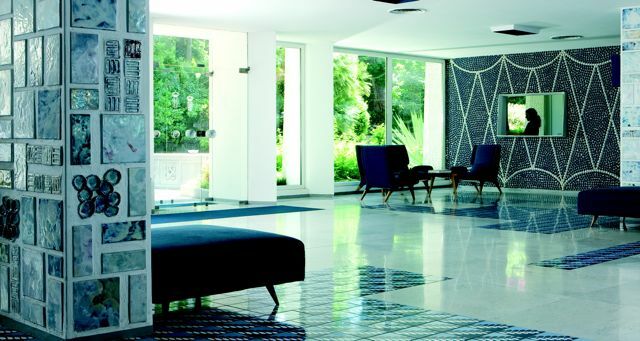 The layout and design of the rooms are the original design of Gio Ponti. All rooms have WIFI, LCD TV, satellite channels, film on demand, safe and mini-bar. 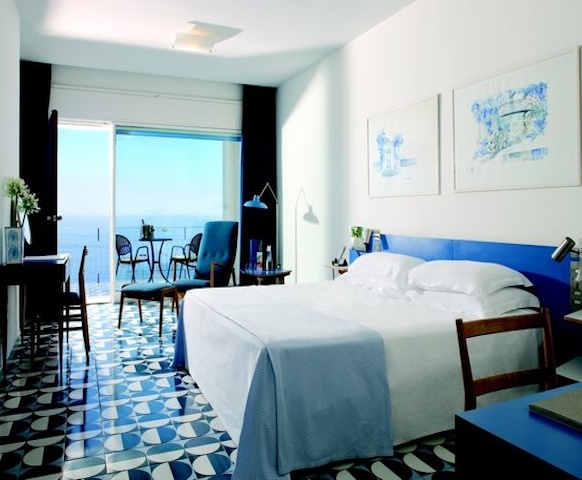 The hotel has two restaurants; Poggio Siracusa – the seaside restaurant -and the Gio Ponti – which has a large terrace overlooking the sea with stunning views of the Bay of Naples. Both serves local and international cuisine. 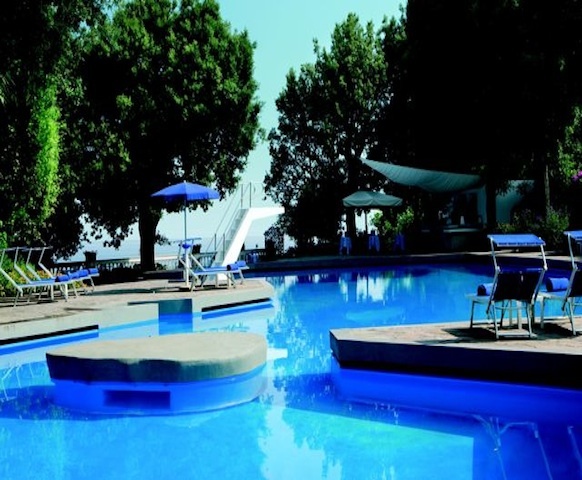 Other facilities are: Conference Centre with seven meeting rooms, a Wellness and Fitness centre, a sea-water pool overlooking the bay of Sorrento and a private beach.